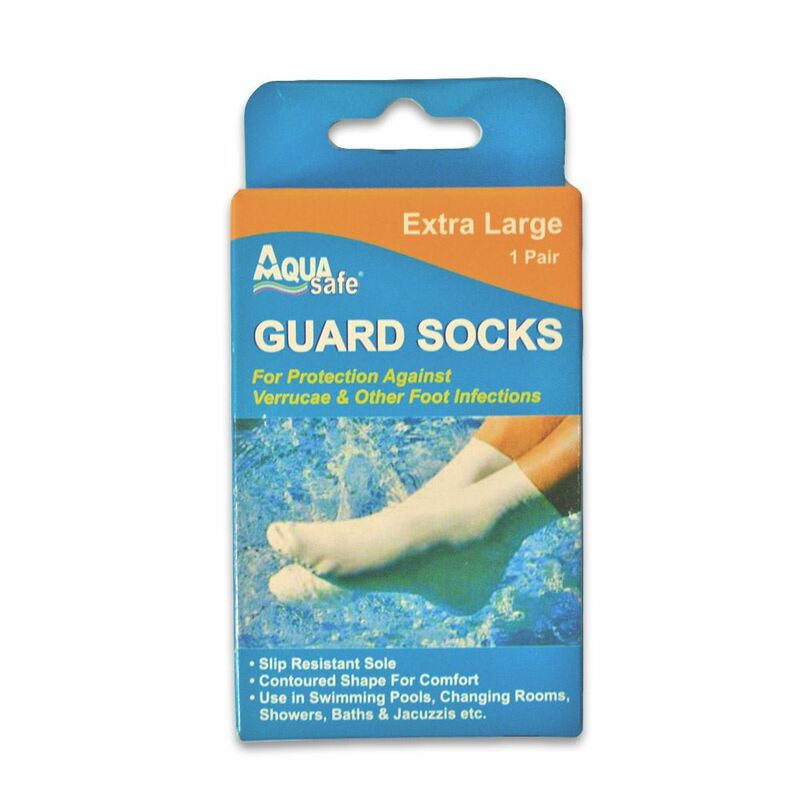 Designed to protect your feet from verrucae, atheletes foot and other foot infections commonly found in the indoor swimming environment. Use in swimming Pools, changing rooms, showers, baths etc. Available in adults and childrens sizes. Left and right markings to prevent verucca cross contamination. 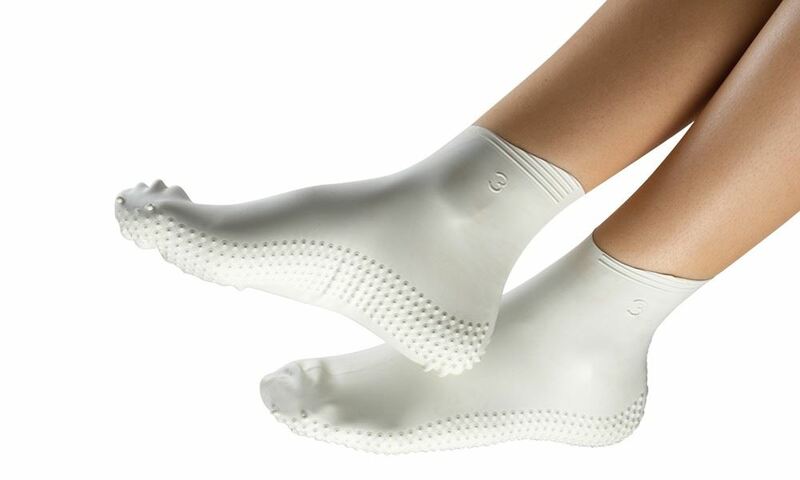 They can also be used to keep foot dressings dry when swimming BUT only after a Doctor or your podiatrist has been consulted. 2) Aqua Safe Guard socks are marked L and R (Left and Right). Always wear the same foot to prevent cross infection. Before swimming with a foot infection or dressing always consult your pharmacist for doctor first. Note: Verucae and athlete s foot are not waterborne. They are caught by feet making contact with the contaminated wet surfaces. Slip Resistant Sole reduces risk of slipping on wet surfaces - due care must still be given to prevent slipping.